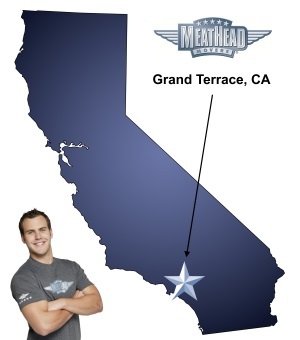 For a trouble-free move to Grand Terrace, Meathead Movers is the company for you! Our professionally trained student-athlete movers are ready to get you into your new Grand Terrace home. Grand Terrace lies just south of San Bernardino, offering you small town charm with the convenience of being near the big city. In fact, this city has less than 13,000 residents and provides a quiet friendly place to settle down and start a family. Nestled between Blue Mountain and La Loma Hills, Grand Terrace offers beautiful views as far as the eye can see. From Richard Rollins Community Park to Pico Park, Grand Terrace gives you a place to have a picnic and enjoy the outdoors. For family fun, head north to the Fiesta Village Family Fun Park where you can play miniature golf, ride go-karts; play arcade games and laser tag, and ride carnival rides and water slides. Take the kids to California Skate during one of its theme nights and enjoy the pizza cafe. Grand Terrace offers something for the entire family. Grand Terrace has a low crime rate and a good school district with excellent reviews from residents. With San Bernardino up the road, your child can complete all 12 years of schooling in Grand Terrace and enroll in college just a few miles away. Grand Terrace has more to offer than good schools and local amenities; it also provides convenient access to Box Springs Mountain Park to the south where you can enjoy bird-watching, biking, horseback riding and hiking all in one place. Moving to Grand Terrace and settling into your new home is easy with Meathead Movers. Our Grand Terrace movers team can take care of the heavy work so that you can focus on other important things. We offer local, long-distance, and commercial moves to, from, and within Grand Terrace. We also provide reliable packing, storage, on-site relocations, and our distinctive moving concierge service, which connects you with local service providers. We take pride in staying active in the community, offering incentive programs and providing support every day of the week. Moving to Grand Terrace? Here are some helpful resources. View more Grand Terrace resources. I was extremely impressed by the guys (Pedro, Brandon, and Christian) who showed up to move my things. They did a phenomenal job of wrapping and protecting my furniture, and I had no worries regarding my glass tables and antiques. No surprise costs, no mangled possessions, no false promises. Everything done as I would have hoped and wanted!